Is recognized worldwide as an expert on early rhythm & blues and rock & roll vocal harmony. He was born and raised in Philadelphia. With a PhD from the University of Pennsylvania, Charlie’s been totally immersed in the fields of rhythm & blues, doo wop, soul and spiritual music since he first began collecting records at the age of 11. That collection has now grown to over 50,000 records. Starting in 1970, Charlie hosted a popular weekly radio program out of Philadelphia (WKDU and WXPN) on the history of R&B vocal groups that spanned 25 years. The program was also simulcast for a time on KALX (Berkeley, CA) and WKHS (Warton, MD). In tracing the origins of urban group harmony, he’s interviewed hundreds of singers and reunited countless groups from the fifties who’d thought their fame was long passed. Charlie’s produced and emceed more than a half dozen large a cappella stage shows and is largely credited for a resurgence in doo wop music in the Philadelphia area that began in the late 1970’s and continues today. He’s written liner notes for over fifty albums and published dozens of articles in magazines such as Echoes of the Past, Goldmine, Bim Bam Boom, Record Exchanger, Harmony Tymes and Yesterdays Memories. 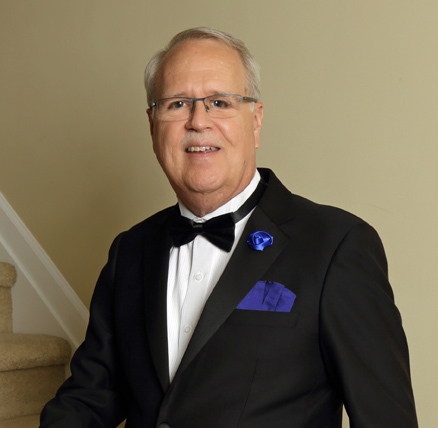 Charlie’s served on the board of directors of the United In Group Harmony Association’s Hall of Fame and was president and co-founder of the Mills Brothers Society. He was awarded the Philadelphia Group Harmony Association’s only Lifetime Achievement Award and also received a Lifetime Achievement Award at the first ever Philadelphia Doo Wop Festival. 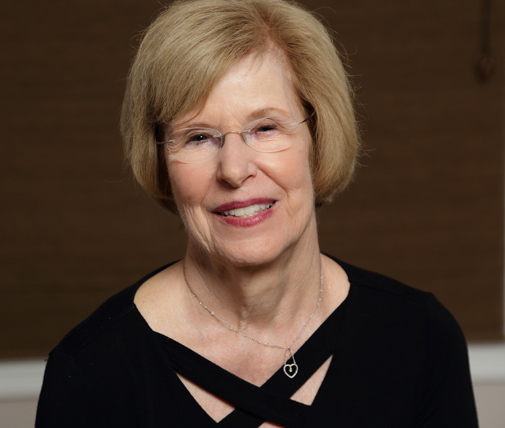 Charlie serves on the Board of Directors of the East Coast Music Hall of Fame. The Rock & Roll Hall of Fame & Museum in Cleveland has called Charlie, “one of the foremost authorities on early rhythm & blues and vocal group music.” Charlie’s forty-five years of research and personal friendships with groups like the Orioles, Ravens, Harptones, Solitaires, Silhouettes, Frankie Lymon’s Teenagers, Chantels, Lee Andrews’ Hearts, Tymes, Turbans and Sensations allow him to tell the story of how the music came about. More than 65 multimedia presentations on vocal harmony music given at libraries, museums, historical societies, senior centers and community organizations in the past 10 years. Produced and emceed more than 65 doo wop acappella concerts in theaters, nightclubs and community halls. Produced three multi-group doo wop acappella concerts (Doo Wop Explosion I, 2 and 3) at Monmouth University’s Center For The Arts’ 730-seat Pollak Theatre. Have found bookings for more than 25 doo wop, r&b and gospel acappella vocal groups. Planned, assembled and were curators for the huge “Spirituals to Soul” exhibition that ran during the 2015 Light of Day Foundation celebration in Asbury Park NJ and later Monmouth University’s Pollak Gallery and the Monmouth County Historical Association Museum. Interviewed an iconic music industry figure (Orioles manager and songwriter, Deborah Chessler) in front of a live audience at and by invitation of the Rock & Roll Hall of Fame, Cleveland, OH. 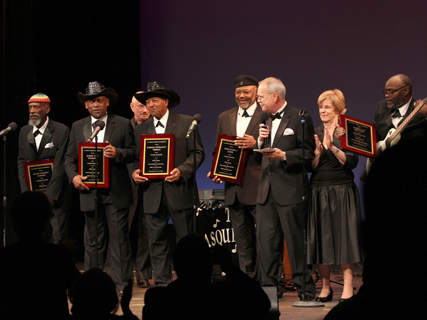 Produced, hosted and emceed an industry reception and concert in 2012 at the Morris Museum’s Bickford Theatre to celebrate the soul vocal group, the Masqueraders’ 50th Anniversary. The event included a catered dinner for 180 guests including 70 celebrity singers. The concert had seven vocal groups, each singing a distinct style of vocal harmony. Assisted the Morris Museum (Morristown, NJ) with their major exhibit, “Jersey Rocks: A History of Rock & Roll In The Garden State,” including loan of artifacts and photos, two multimedia presentations and help in producing two concerts. Named to the Advisory Panel of Asbury Angels, an organization that gives recognition to Asbury Park (NJ) musicians and music industry professionals who have passed away. Have successfully recommended the induction of ten Asbury Angels for induction years 2012 – 2017. This website, www.classicurbanharmony.net is one of the most popular in its field. Currently writing a definitive book on Asbury Park’s West Side Music (1880 – 1980). Served on the Franklin Township (NJ) Cultural Arts Council’s Performing Arts Committee, to encourage expression and appreciation of the Arts in Franklin Township, producing an acappella concert, giving a multimedia presentation and setting up a library display. Serve as active members of the Asbury Park Historical Society. Produced a huge quartet-style gospel concert to benefit the Society. Reunited members of the Asbury Park gospel group, the Missionary Jubilaires. Convinced the Asbury Park City Council to declare “Missionary Jubilaires Day for the group’s 40 years community service. Spearheaded research into the history of African American music from Asbury Park and surrounding Monmouth County NJ. Once forgotten music is now recognized by the mainstream media. Currently serving as advisors to the Asbury Park African American Music Heritage Project. Patron sponsor of the 2012, 7th Annual Philadelphia Doo Wop Festival, co-emceed two other year’s festivals. Co-sponsored the Black Swan 2008 Burlington Vocal Group Concert. Toured Europe with and as a guest of popular European vocal quartets the Golden Gate Quartet and Deep River Quartet. Are staff feature writers for Echoes of the Past magazine. Previously wrote for It’s About The Music magazines. Consulted on two film documentaries about doo wop and acappella singing; “A Lesson In A Cappella” (2010) and “Streetlight Harmonies” (World Premiere was at DOCNYC Film Festival, December, 2017). Consulted on two documentaries on Asbury Park music; “Just Before The Dawn” (2017) featured in the 2017 Asbury Park Music & Film Festival. Second documentary in progress. Taught a course on doo wop music for two consecutive years at Raritan Valley Community College’s Lifelong Learning Institute. More than a dozen guest appearances on local radio programs on stations WCTC-AM, WFUV-FM, WRDV-FM, WMTR-FM, WOLD-FM. Produce a free popular vocal harmony email newsletter subscribed to by more than 780 people.